Children's Aid and Children's Aid College Prep Charter School are exempt from federal income tax under Section 501(c)(3) of the Internal Revenue Code, and contributions are tax deductible to the extent allowed by law. 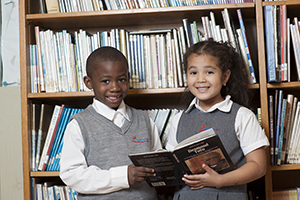 Your gift will help our children as they continue on the path to college. The Children’s Aid College Prep Charter School is a Children’s Aid community school whose mission is to prepare elementary school students for success in middle school, high school, college and life by providing them with a rigorous instructional experience; addressing their physical, emotional and social needs; fostering a sense of pride and hope; and serving as a safe and engaging community hub." Thank you for giving generously today. Copyright 2017 Children's Aid. All rights reserved.